Creative Wedding, Elopement, Engagement and Family Portrait Photography. Covering British Columbia and Alberta . Including Calgary, Banff, Canmore, Lake Louise, Emerald Lake, Revelstoke and Golden. Destination Wedding photographer. Your wedding is a day full of love and happiness, its about documenting that joy. 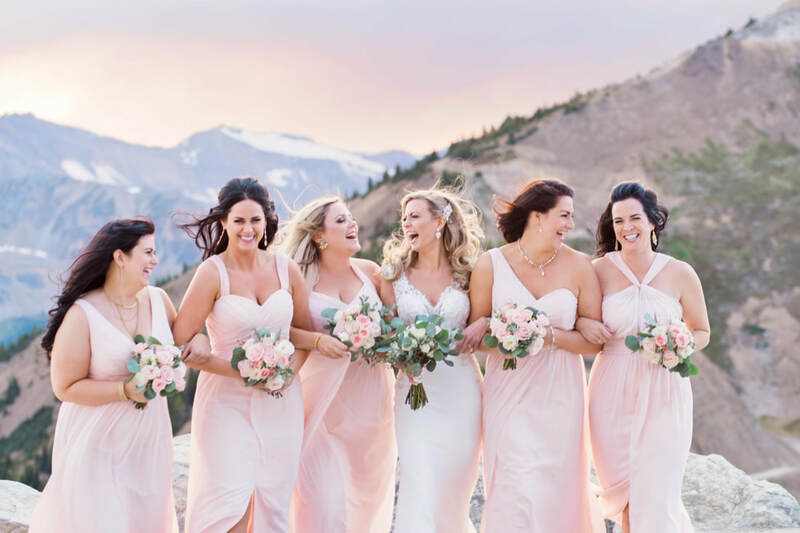 Whether it be at the Kicking Horse Mountain Resort or a small backyard elopement, I would love the chance to share your unique wedding. I want to help you create original, beautiful and fun photos. To record authentic moments- catch those little gestures and looks that make every relationship special and unique. For a photo to be memorable it needs to be more than a couple standing in amazing scenery. It also needs to show the connection and bond between them. You being you, not with a fake smile at the camera or awkwardly over posed. I don't want you to look like two strangers in a styled wedding shoot. ​​I will give you gentle direction if needed and then back away for you to be in the moment together and let it all sink in. I have tried to include in my website helpful resources like amazing vendors, ideas for timelines and tips to make your day easy and stress free. ​Love, laughter and stunning mountain views - let's make some beautiful photos together. ​Please contact me using the below form. ​"My god the pictures are stunning! WE ARE SO BEYOND HAPPY WITH THEM!!!! Thank you so much for everything, you were absolutely hilarious on the big day and made it so enjoyable to be photographed. Our wedding party, who are not used to being in front of a camera, also felt a lot more relaxed because of it! The pictures are exactly what we wanted, detailed, action shots, emotional shots, romantic shots.. it is so fabulous! We will definitely be recommending you to everyone!!!" Please fill in the form below, I would love to hear more about you and your photography needs.